This is a classic drink recipe that is perfect for the holidays. 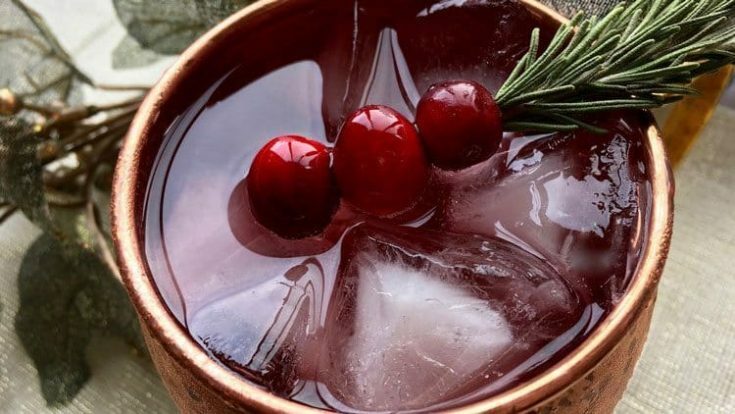 Adding colorful cranberries and a garnish to top it all off just makes it even more perfect for serving up at your next winter shindig. We’re talking about classy here. 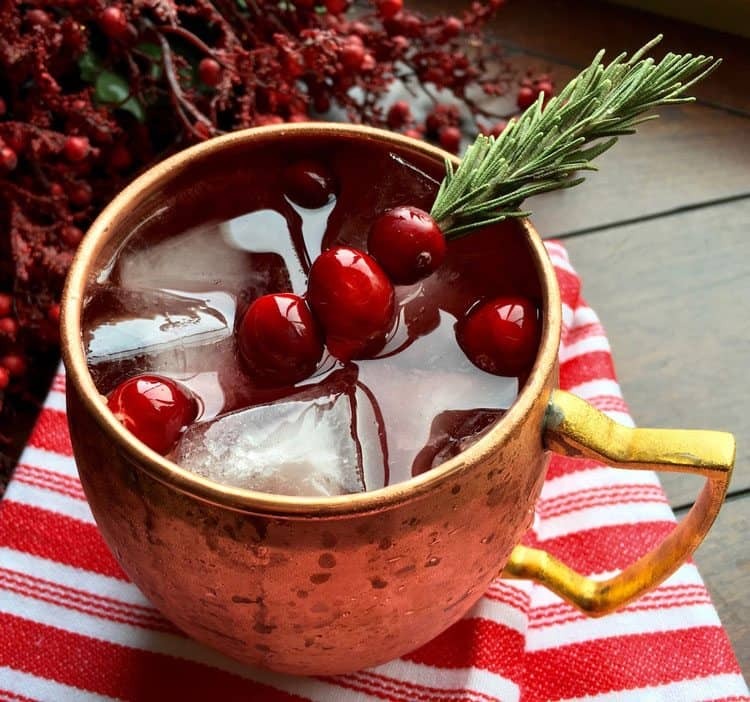 Now, you could serve up a Cranberry Moscow Mule in any old cocktail glass, but people will ask you what you’re serving. You might even get a few confused looks if you’re not using the ideal Moscow Mule copper. A bright splash of seasonal color transforms this classic cocktail into a new holiday favorite. If you enjoy the warm gingery flavor of a traditional Moscow Mule, you will definitely want to give this one a try! It’s not just the copper mug that makes this an endearing drink, although that doesn’t hurt matters much. Now, we’ve tested our share of cocktails but count the Moscow Mule among our favorites. We also like a good Long Island Iced Tea, Tom Collins, and a Lemon Drop cocktail from time to time. Now, if you want to make any holiday drink festive, you’ve got to add a seasonal garnish. And the Rosemary Cranberry Sprig Garnish is a classic. 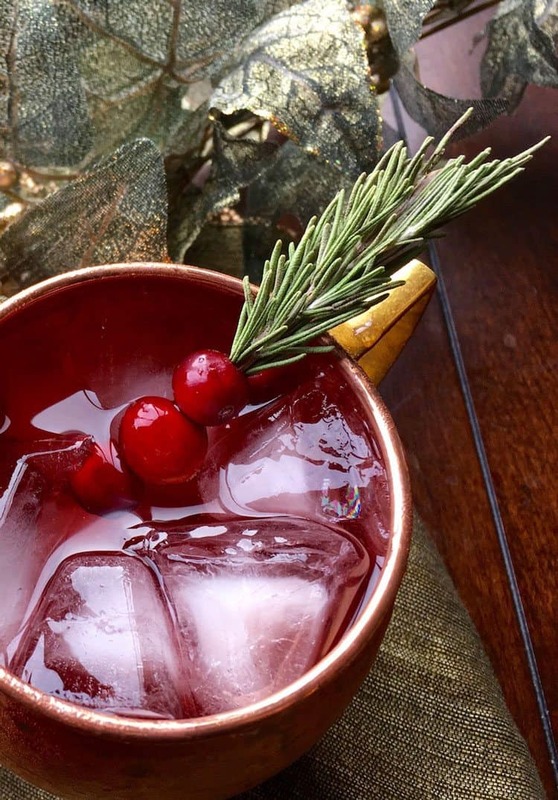 To make cranberry sprig garnish, carefully thread 3 fresh cranberries onto the bottom of a rosemary stem. Around the holidays, you can often find a live potted Rosemary tree, which is perfect to have on hand for garnishes and cooking. I pick one up nearly every year. Fill cocktail shaker with ice and add vodka, cranberry juice, and lime juice. Shake well and pour into ice-filled copper Moscow Mule mugs. Top off mug with ginger beer and stir to combine.